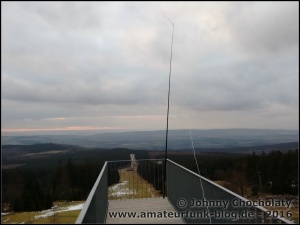 Ich habe 2015 mit JT65 angefangen und auch ein paar Monate primär JT9 gemacht. Es kamen so mehrere Tausend QSOs zusammen. Anfangs ging es dort sehr gesittet zu und die empfangenen Signale waren allesamt sehr sauber. Für mich war das damals die ideale Betriebsart, um mit meinem FT-817 und 5W "ungestört" mit QRP schöne Verbindungen zu machen. 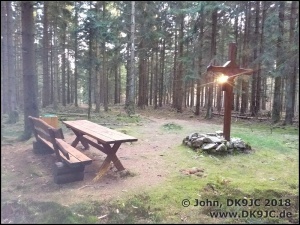 Irgendwann kamen dann die dicken Stationen mit immer mehr Leistung dazu. Man konnte sagen, dass das Spektrum mit zunehmender Leistung unsauberer wurde. Rein technisch ist es natürlich möglich, auch mit hohen Ausgangsleistungen ein sauberes Signal zu senden. 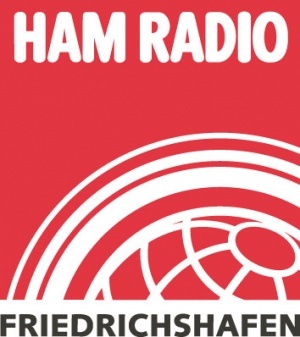 Ich habe das Gefühl, dass seit der FT8-boom eingesetzt hat, einfach nur drauf los gefunkt wird, ohne dass die wichtigen Einstellungen geprüft werden. I bought my Yaesu FT-891 to use it on SOTA-summits when I need some extra power that my FT-817 can't deliver. When I am out portable, I have the battery very close to the radio. Unfortunately for me (fortunately for the mobile users) the FT-891 comes with a massive and bulky 3m or so power cable. It's very sturdy and something you definitely do not want to carry. The weight is 270g. Just before I decided to cut the original cable in pieces and solder it together again I found a nice offer from China on Ebay. 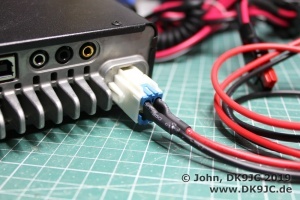 A short 4 pin Yaesu/Kenwood plug with a cable and fuseholder. It was only 4 Euro shipped (!) from Shenzhen. Delivery took about 3 weeks and I did not expect too much. First thing was that I check the resistance on all 4 pins. 0 Ohms. That was good. The fit is also like the original plug. No complaints there. I just fit Anderson Power Poles and tested the cord. Works perfect and now weights only 86g. I also do not consider the smaller AWG number (diameter) a downfall. I was out for a walk in my city when I found this old 26" bicycle rim in the brushwood close to the rail tracks. I removed all the crusty stuff and added a variable capacitor with around 15-120 pF. 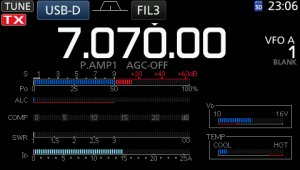 Some time later I was able to work RA3BL in Moscow 2.200 km way on 30m. 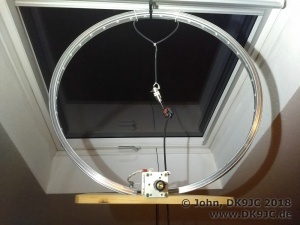 The efficiency on 10 MHz is only 5% on such a small loop but it worked. I later worked LA9NKA on 12m, K8JDC on 17m, DK3KUD on 60m and highlight was VP8LP in Falkland Islands on 17m who was 12.700 km (7.900 mi) away. Unbelievable. I like this antenna a lot and can highly recommend it. I try to source some old 24" and 28" rims to compare them. 28" should be the best option there performance-wise but you need a capacitor with a low starting capacity, otherwise you probably lose 10m.